May 2015 marks the ninth anniversary of my purchase of a 1977 AMF Paceship PY23. It also means that this will be the tenth sailing season with Serenity. From 2006 to 2015 the boat has been an ongoing project of repairs and upgrades. It has consumed more than its original cost in parts and materials, meaning that if sold, I probably couldn't get one third of what has been spent on it back. The market was stronger then too, and today I can buy something 26' long for the same price. 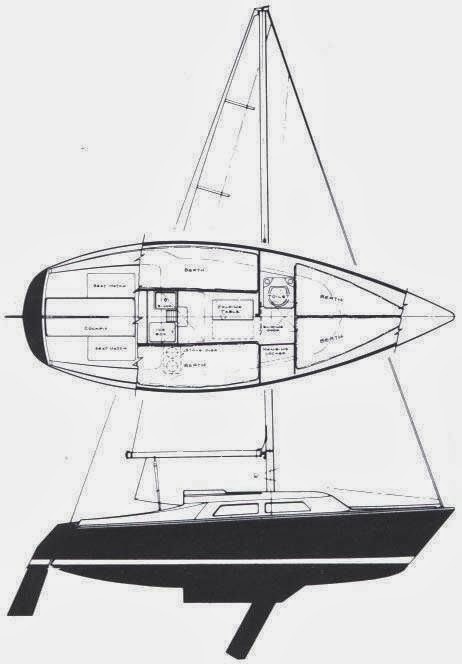 Still, you don't buy a boat as a financial investment. It is an investment of a different sort. Serenity travelled from Nova Scotia to Newfoundland in May 2006. 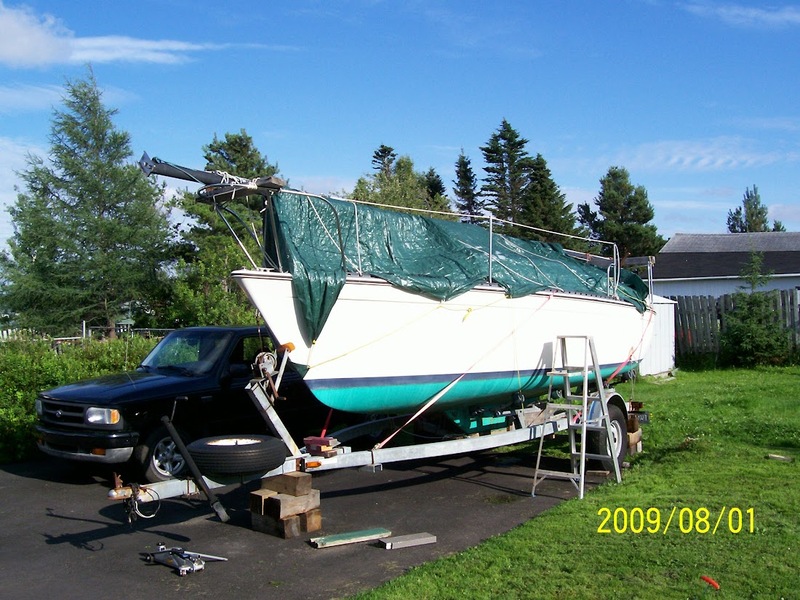 One of the major advantages of a smaller sailboat is the ability to trailer it. At under 2500lbs (1130kg), it doesn't need an especially large tow vehicle. I am able to launch and haul-out Serenity without having to call in a crane or travel lift. 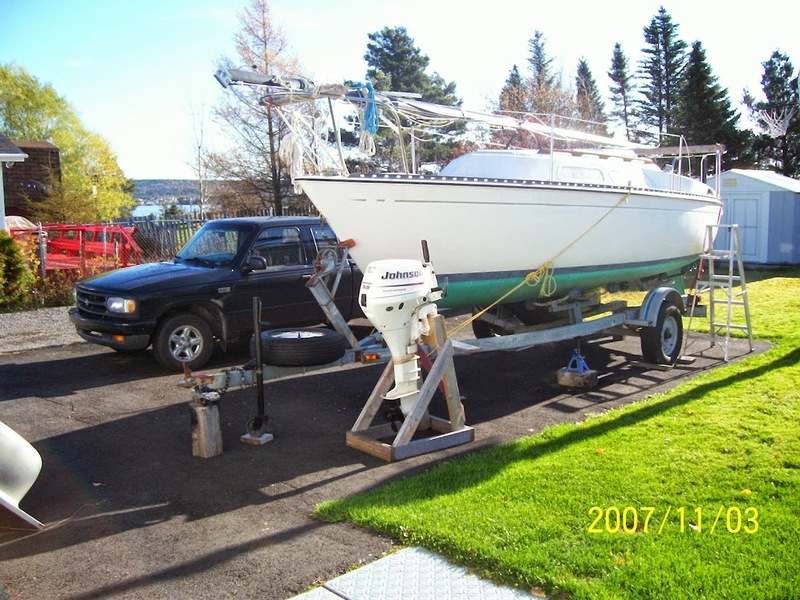 I also save winter storage fees by keeping the boat in my driveway - a more convenient place to work on it than at the marina too. My cruising options are extended as well, since it can travel in a few hours on the highway, what would take days or weeks to reach by water. Still lots of places to see in my home waters yet though. A portion of my cruising grounds. About 20NM before reaching open ocean. It was July of 2006 before Serenity was launched. The first five or six weeks were spent fixing things and making the boat ready. It did not arrive in perfect sailing condition. 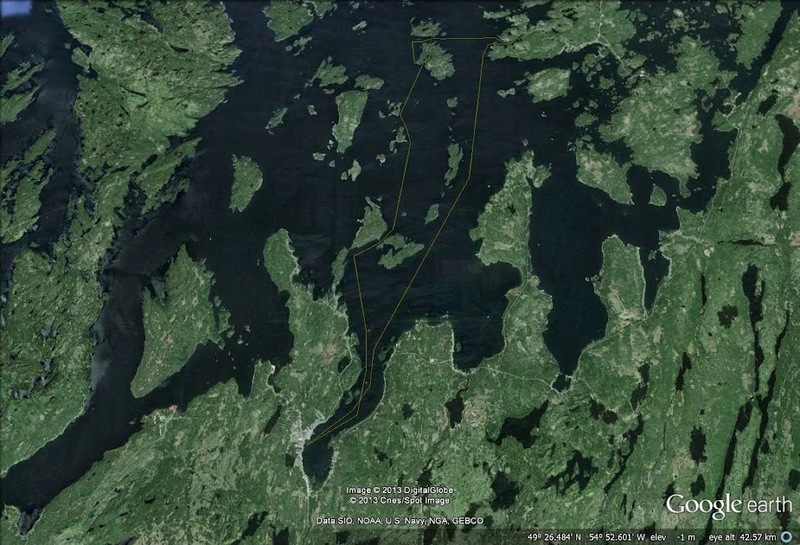 The rest of the summer we sailed around the harbour and bay with weekends at Exploits Islands and Sivier Island. You can follow all of the activities from the first season here. Roxanne at Sivier Island. We had some good times aboard the boat in 2006. Serenity spent all of 2007 in my driveway. There just wasn't time when the weather was good, to complete all the pre-launch jobs. It got so late in the season, that it just wasn't worth the trouble and marina fees. POR-15 coated the iron keel, but no launch in 2007. I had my own truck for the 2008 launching, and it was good not to have to borrow one for the job. 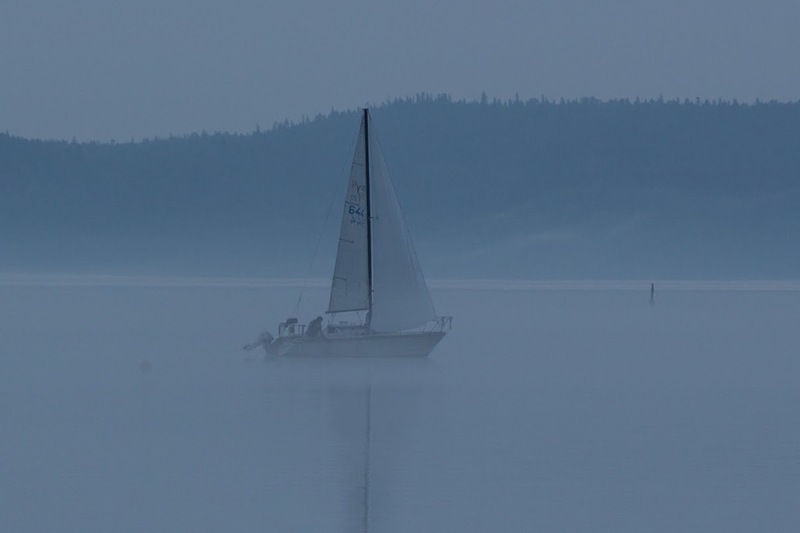 It was near the end of June, but that still left four months of sailing. The issue that season, however, was that I was away for work for half the summer. On top of that, there was a disagreement with the marina management which made it uncomfortable to be there, and I was afraid to move the boat from the berth in case I wouldn't be able to get back in. 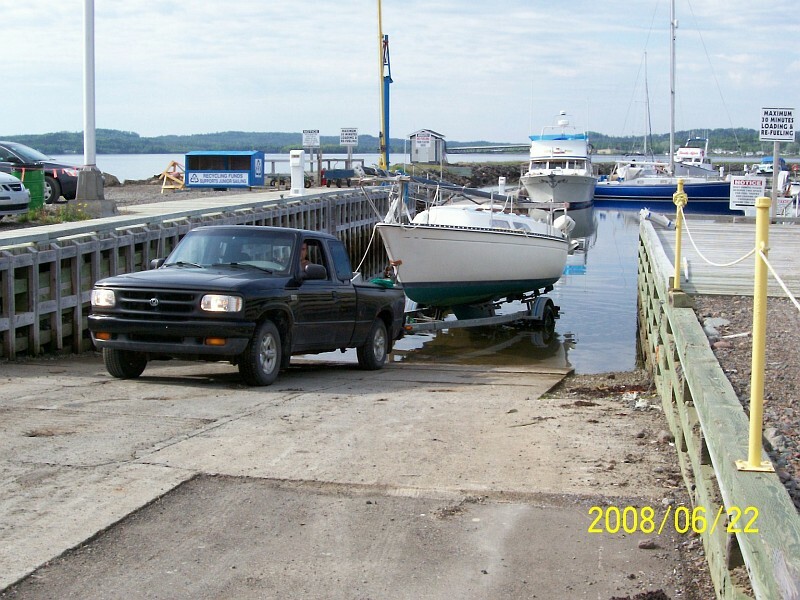 To summarize, about a week after being assigned a dock, they tried to move me to one that did not have enough water to completely float the boat at low tide, plus there was a chain across the approach that would catch the keel. Serenity being launched in 2008. 2009 was another dry season. Things hadn't improved at the marina, and it was better to avoid the place than enter another battle. I was able to borrow a boat, or sail with other people, but the summer was mostly spent doing things on land. The boat just taking up space in the driveway. As of this writing, I cannot find any pictures or references to Serenity being on the water for the summers of 2010 or 2011 either. I didn't think it had been out of the water for so long, but it must have been. There was still lots of sailing, however, because I can usually find someone looking for crew, or willing to loan me their boat. I actually got a summer's worth of sailing in 2010 doing just one delivery from Halifax to St. John's. 2011 was the year I bought my first motorcycle, so I was somewhat preoccupied with that as well. 1998 Honda Shadow 750 ACE bought in 2011 with just over 14,000km on it. 2012 definitely saw Serenity back on the water, although late in the season. We had been involved in a fairly serious motor vehicle accident back in March, so boating was not a priority. It was into August before the craft was launched, but that still allowed for three months of sailing. A short season is better than no season. Things were different at the marina by now. More docks had been added, and I was able to get a nice berth location. The winter of 2012/2013 was the only one the boat spent at the marina. I worried, however, about someone breaking in or damage being done, and it was more difficult to work on it. Probably won't be doing that again. Serenity at a temporary dock after being launched on 2012-08-06. November 28 and the boat is all ready for winter at the marina. The season started a little earlier in 2013, and it proved to be one of my best summers of sailing. 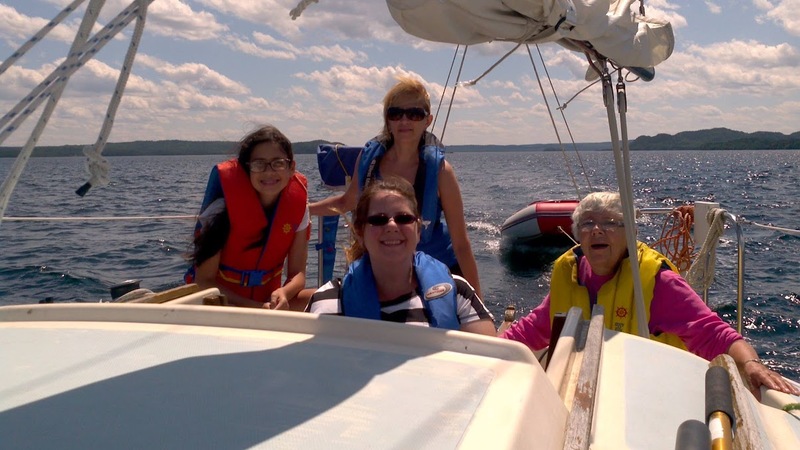 Our outing on August 2 became the subject of the blog post A Good Day Sailing. 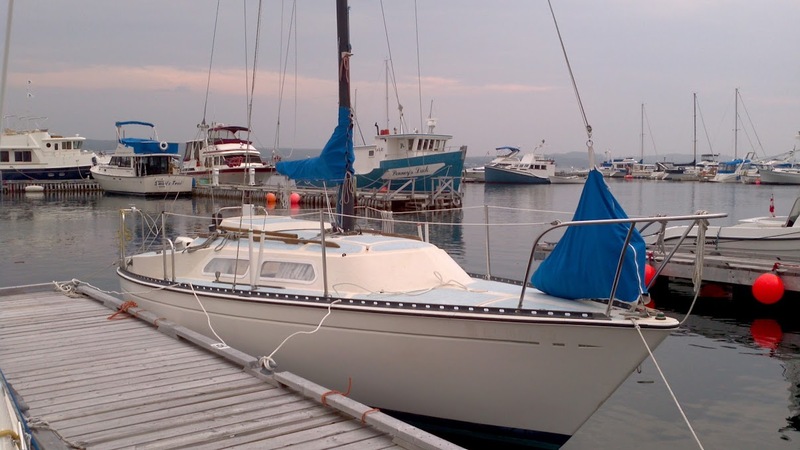 I got to sail aboard several boats that year, including one visiting from France, see video. Being able to improve on that summer is now an ongoing goal. Afloat two years in a row - a first! 2014 was an interesting time. My sister and niece came to visit from Ontario around the middle of July, and we spent a few days at Exploits Islands. I was also in a couple of races, although the wind only showed up once. 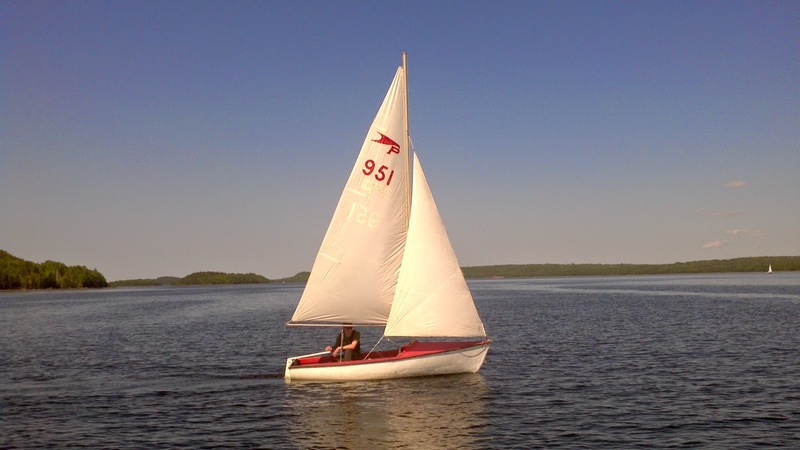 At the end of the season I bought a 12' Petrel aluminum dinghy. It needs a trailer, however, and that will cost three times what the little boat did. Most spare time on nice days was spent preparing the grounds to build a new shed, not sailing. Niece, sister, wife and mother making our way to Exploits. Lloyd sailing the Petrel before I bought it. Looking ahead at the tenth season in 2015 there are no specific trips planned yet, but as usual, a wish to spend more time on the water. 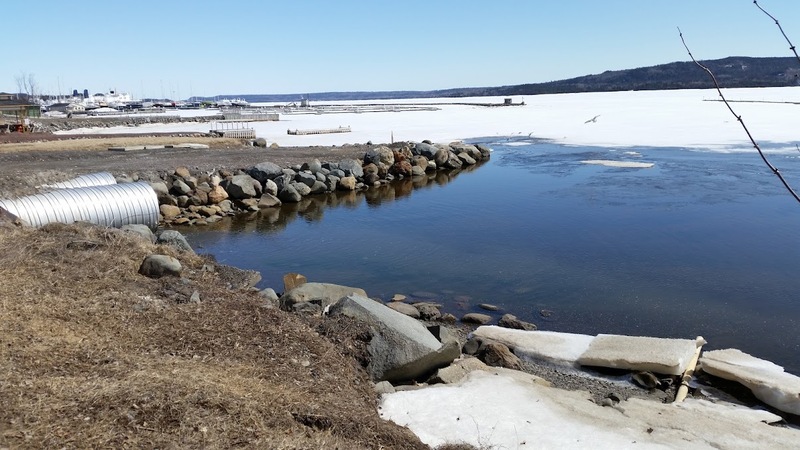 The ongoing construction of the new shed will take up a good amount of time, but the plan is to have the bulk of it done before the best boating weather arrives, usually around the middle of July. April 22 and still a mostly frozen harbour. As I write this the harbour is covered in ice, but it is melting quickly, and could well be out of the way by this weekend. If spare time and weather line up to get the pre-launch tasks completed, Serenity might be floating in its berth before the end of May - in time to take full advantage of season number 10. Glad to see you're not parting with Serenity just yet. I think you might regret it if you did. You've had quite a battle getting some sailing time in over the years, so I do admire your persistence! I've been a bit distracted too this year, but will hopefully get my first sail of the year in this weekend, because we have the extra day off on Monday for May day Bank Holiday. My daughter moves out on Friday so hopefully I can get all her stuff moved over to her place on Saturday. I do hope you get a good sailing season this year, it always makes the struggle worthwhile. Thanks Mark. I really don't want to sell the boat, but my wife wants it gone. Many things have happened over the years which have turned her from boating in general. Justifying the expense for something just used by me a few hours a year is a challenge. I guess the trick then is to use it a lot more, and bring her back in. We'll see how things go this season. As you say, I'd probably regret selling. Have fun on the weekend. Our long weekend in May is for Victoria Day, and this year that falls on May 18. Unfortunately, I have to be out of town that weekend, but I'd like to launch on the 23/24 or 30/31. I won't be too far behind you - if the weather cooperates.